Listening to my clients to find out their needs and strive to exceed their expectations. Stay informed and knowledgeable on current and future technologies. Always supplying the most cost effective and reliable service. I want my clients to be happy they used me for their projects so that they would be proud to refer my services. Giving my clients service with a smile. My attitude is "What can I do to make your job easier?". Prior to working professionally, I studied under my father who worked in the entertainment industry as a professional DJ. I watched him build a radio station facility and caught the "bug". While still in grade school, I started working in his home studio and later rewired his entire studio before finishing up with high school. Right out of high school I started working in night clubs and found myself asking questions about their lighting and sound systems. It was there that I picked up enough knowledge to start doing some lighting and sound system design layout and programming myself. I moved on to work with different audio/visual installation companies like Ford A/V and LD Systems where I expanded my knowledge of professional audio and lighting. These opportunities really help set the pace for how meticulous I am with the cleanliness of my wiring. I became very focused on detail-oriented wiring techniques that fit both function and form. Meanwhile, I started doing freelance work for the Houston Livestock Show & Rodeo in the broadcast studio. I was hired for my expertise with audio to repair the issues that the studio had developed over time. 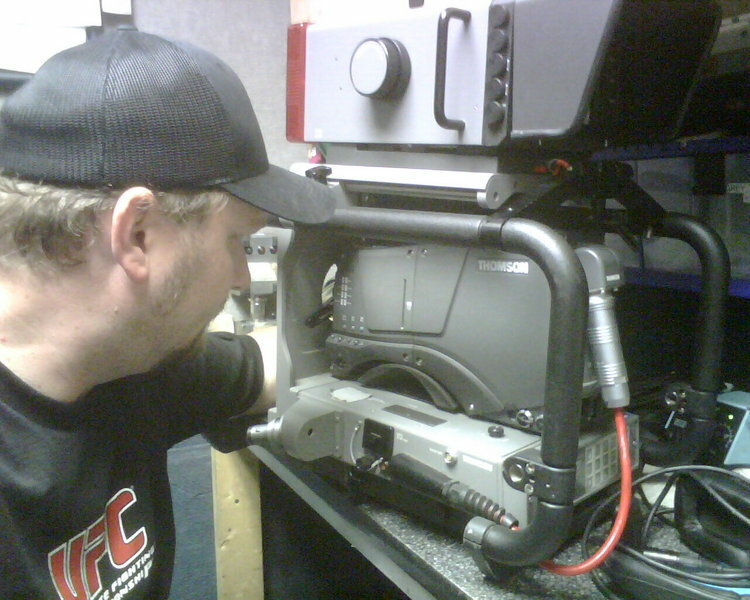 My training began there in the analog video realm until the facility was upgraded to SDI. I then worked diligently on the design and build of the current production facility, now in HD. It was 2 years in the making but the end result is impressive and has received ample praise. My experience at HLS&R provided me with unmatched mentors, life long friends and colleagues. During my time at HLS&R, I had was introduced to the broadcast freelance market. I used this opportunity to expand my expertise in audio and video, while obtaining new clients. 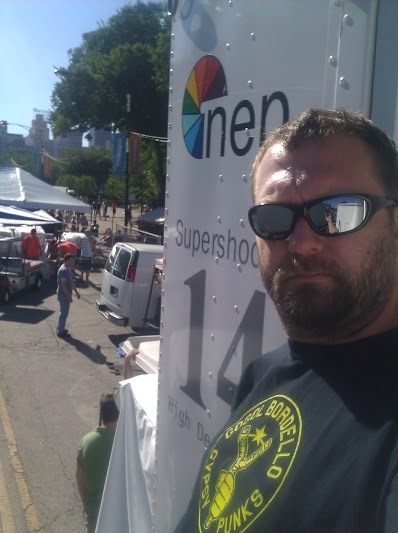 With my expanded experience I began working freelance for more and more clients including NEP Supershooters as an engineer for support of live sporting events. While working with NEP I have worked with some of the best broadcast engineers in the country and have been able to perfect my helpful "service with a smile" type attitude. Essential in the design and installation of the company’s facility – the largest post-production facility in Houston at 31,000 sq.ft. 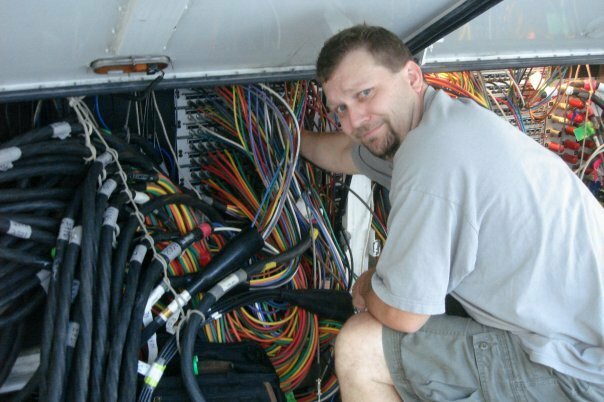 Coordinated & oversaw outside company to manage wire pulls, while focusing on planning & termination. Streamlined all edit suites to complete the appearance of this high-end facility. VT2 hosted CBS, MTV and NFL Films for the Superbowl XXXVII. I worked to integrate multiple edit suites and a mobile edit truck into the system during the event. “VT2 Studios is the ideal environment for our needs; close proximity to Reliant Stadium, spacious rooms, state of the art equipment and skilled professional staff. We couldn't ask for more." Work for a vast amount of clients in and around the Houston area. I support them with my expertise in almost any capacity needed. Many houses of worship and smaller studios also need professional help and direction. Service with a smile is my goal. I am not happy unless the client is happy. Essential in the installation of broadcast wiring for stadium and any new equipment in production facility for the scoreboards. Maintain and repair audio/video equipment and studio. 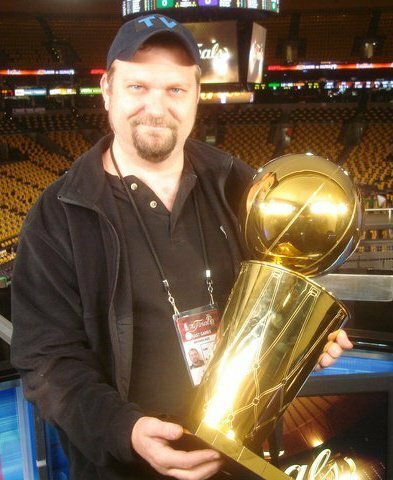 EIC’d for all All Star and World Series games in Houston. Consulted, installed and updated multiple sound systems, in-house CCTV, fiber transmission and broadcast production facility. ESPN, ESPN2, Raycom, FSN, CSTV, CSS, NBC, CW, CST, Televisa. Co-Founded BTS prior to designing & building 5,300 sq.ft. facility for the Houston Livestock Show & Rodeo. Responsible for recruiting & training over 50% of the qualified labor. Facilitated layout & implementation of all equipment, while providing detailed focus on wiring. Supported the installation of the production facility at Toyota Center, home of the Houston Rockets. Upgraded Joyce Meyers Ministries facility by wiring racks of routers and patch panels. Installed new studio according to specs of hired consultant. Made changes to system to make it more efficient and flexible for clients actual needs. 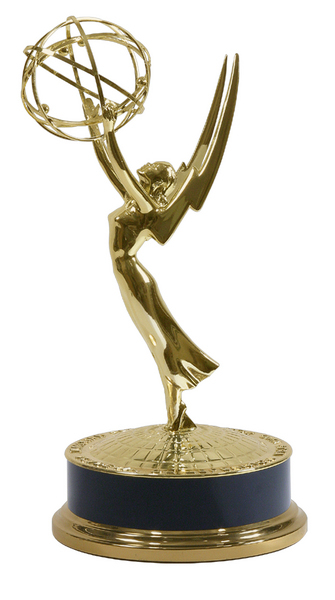 Hired as EIC for facility and worked as video op and tape op for services and live show/concerts. Filled in as director as well when needed. Trained volunteers the finer points of video production. Rebuilt facility when it was upgraded to record for weekly television broadcast. Troubleshot and upgraded entire audio department in original Astrohall facility. Worked closely with EIC on design & installation of new stadium and broadcast plant to accommodate the HLS&R, as well as the Houston Texans. – Greg Hansen, VP Marketing & Sales, GEPCO International Inc. Installed the audio paging system at Houston’s Bush Intercontinental Airport. Managed installation crew. Performed component level repairs on power amplifiers in the PA at Houston Astrodome. I started buying and selling used gear as a way to get the toys I wanted to play with. I would be better at it if I was able to sell more than I buy/acquire. Just ask, I may have what you are looking for or know where to get that special gem you're in search of. Started playing with audio when I was was growing up at home in my fathers studio. Anything from hooking up small to large PA's to wiring studios or to just playing DJ and spinning records and playing with my synthesizer collection. Playing with anything audio/music related is my heroin. First and foremost I like making sure my clients are happy with my services and the end results of their projects. I have an understanding of signal flow, how equipment processes it's data and how it talks with other equipment. Ability to walk in on a system I have never seen and troubleshoot any problem and find the most efficient and cost effective solution. Very capable of designing systems that are expandable with growth and that will suit whatever the client desires and needs are. Probably why I love working in this field so much. It's a constantly evolving technology that is incredibly interesting to me. Wiring cable in a fashion that looks neat and clean. Dressing cables in a way that is second to none. Takes a lot of pride in how I can make the cabling look when finished. Soldering almost any kind of connector is not a problem with the right tools to get the job done.